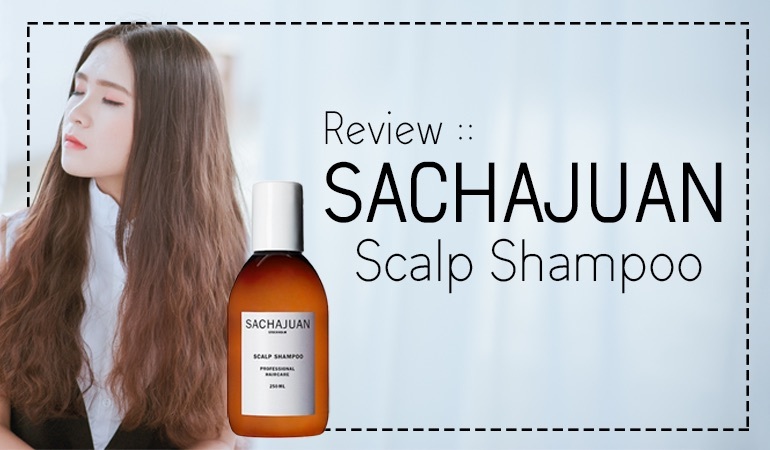 Sachajuan Scalp Shampoo is a beautiful looking Scandinavian shampoo which contains a very effective (new-age) combination of anti-dandruff actives. With Piroctone Olamine and Climbazole ready to defeat dandruff causing Malassezia yeast and Salicylic and Lactic Acids ready to eliminate existing flakes. There really is a lot to love about this formula. It’s as good on the inside as it looks on the outside. It’s not often you find an anti-dandruff shampoo that looks fit for a photo shoot. First appearances are important and the Sachajuan Scalp Shampoo is a step ahead. It’s sleek, minimalist and (dare we say it)… trendy. The inside formula is also nicely active. There’s a combination of 2 gentle anti-fungal agents alongside dandruff flake softening salicylic acid. So who’s behind this beauty? Sachajuan as this dandruff shampoos elegantly simple label tells are based in Stockholm, Sweden, a location where they also have an in-person salon. Yes, this is as Sachajuan state themselves, ‘professional hair care’. Although unlike many other professional hair care brands, Sachajuan’s mission is to, ‘make hair care uncomplicated’ by sharing, ‘professional hair care products that are easy to use on any hair type and by anyone’. Launched in 2004 Sachajuan is now globally available with their extensive hair care range. And, as promised, they’re keeping things simple and uncomplicated. For example, their anti-dandruff shampoo is simply named scalp shampoo. Their conditioner for thin hair is named Thickening Conditioner. And for anyone in want of simple conditioner, well… there’s also ‘Conditioner’. This is Swedish minimalism at its best. On ordering a bottle of the Sachajuan Scalp Shampoo it comes simply packed in an elegant apothecary-esque (but handily for the bathroom) plastic brown bottle. The front label is simple, it’s made by Sachajuan, they’re based in Stockholm, this is scalp shampoo and its professional hair care grade… oh and there’s 100ml in the bottle. There is no messing about, as promised Sachajuan Scalp Shampoo is simple… and can be used by anyone. With a decently sized flip top cap, the Sachajuan Scalp Shampoo doses easily with a swift squeeze. The clear, slightly viscous liquid is as simple in its appearance as is the bottle. A minted scent from the added menthol covers any medicinal anti-fungal fragrances. Although word of warning, its best to use this shampoo with cool to tepid water. Menthol evaporates very quickly, that’s why you can smell mint, it’s in the air. When your shower’s hot, menthol speedily evaporates – without even a drop of shampoo in your eye, you may feel a sting. After a couple of minutes scalp massage, the Sachajuan Scalp Shampoo is happily spread and easily washed out. 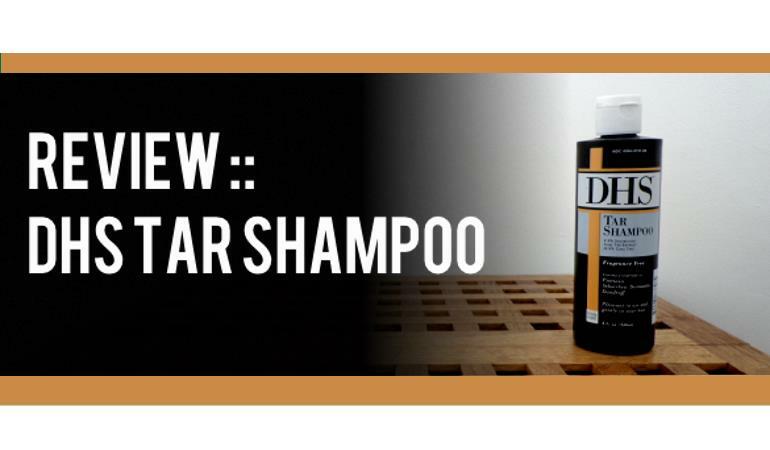 If you have a classic case of oily Seborrheic Dermatitis, this is the perfect shampoo for you. It cuts through grease like a warm knife through butter. However, if you have a normal to dry scalp, you’ll want to swiftly follow with a conditioner. It’s clearly easy to use, but will Sachajuan’s active anti-dandruff ingredients simply get the job done? First on the list is Piroctone Olamine, which incidentally means there’s most of this active ingredient included in Sachajuan’s formula. Piroctone Olamine is an ingredient used to treat fungal infections. Although the root cause of seb derm is still unknown, it is linked to the presence of the Malassezia yeast on our skin. Piroctone Olamine is one of our favorite and most gentle active ingredients here at Dandruff Deconstructed. Partnering Piroctone Olamine we also have another anti-fungal active ingredient, Climbazole. Interestingly these 2 ingredients paired together show complementary effect. Studies of an anti-dandruff shampoo formula containing 0.5% Piroctone Olamine and 0.45% Climbazole prove it to be just as effective as a traditional 1% zinc pyrithione formula, with superior anti-fungal efficacy and superior conditioning effects i.e. it’s kinder to your hair. Topping off this formula we finally have scalp softening Salicylic Acid. 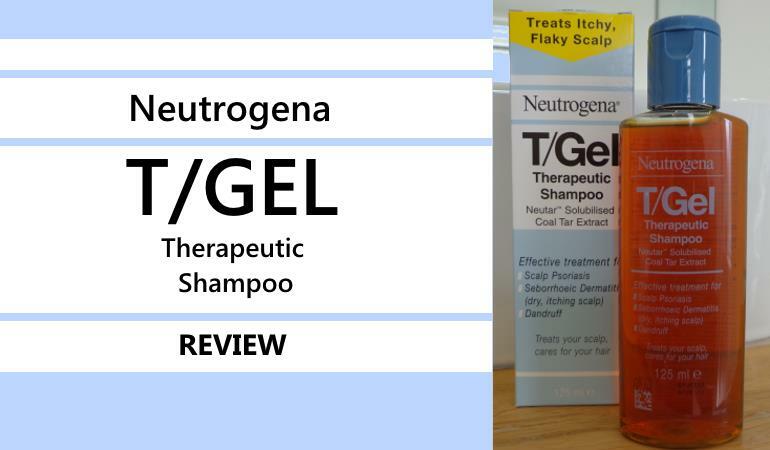 A keratolytic agent which helps anti-dandruff shampoos resolve white-yellow dandruff flakes quickly. Salicylic acid gently dissolves away keratin which is the protein visible layers of skin are made from. Studies have shown that it can increase the penetration and efficiency of anti-fungal agents. In fact, a study showed that Piroctone Olamine combined with Salicylic Acid was more powerful (and gentler) than Coal Tar. I love the sound of this combination. Now the question is, will the accompanying shampoo ingredients be just as great? Let’s start with the kicker, although the Sachajuan Scalp Shampoo has a fabulous combination of active ingredients, it also has a questionable shampooing system based on Sodium Laureth Sulfate (SLES) and Cocamidopropyl Betaine. Both of these ingredients are very efficient at dissolving and removing grease, SLES in particular. On the flip side, they are both ingredients that can cause contact dermatitis. The final ingredient to watch out for is Potassium Sorbate. This ingredient inhibits mold growth (McDonald’s adds it to their shakes). Unfortunately, some of us can react to this ingredient too. If you have an allergic or reactive scalp, a dry or very dry skin type, the Sachajuan Scalp Shampoo may not be for you. But moving on, if you believe your scalp to be okay with this combination, there are many great side-kicks. There are a few ingredients that are a bit unique, and show this company to be true experts when formulating a shampoo. Firstly, we have Hydrolyzed Wheat Protein. It is known to destroy the biofilm the Malassezia yeast can form to protect itself. Again, aiding the ability of the active ingredients to do their thing. In addition, this protein is similar to the protein hair is made from. It helps hair restructure and repair. This ingredient helps make post wash brushing an ease. Which fits in well with Sachajuan’s overarching promise of salon professional hair care. Next, there’s C12-13 Alkyl Lactate which sounds strange but is actually just a derivative of lactic acid – a great skin conditioner/softener alongside being a milk keratolytic (akin to salicylic acid). Included in this formula C12-13 Alkyl Lactate has both function and purpose. It thickens the shampoo while also acting as a sensitive skin friendly anti-irritant. Which brings us to lower down the ingredients list to Lactic Acid. Lactic Acid is a skin softener and emollient (aka it can function as a moisturizer) which is naturally found in skins own moisturizing factors. Dermatitis type conditions can be caused by deficiencies in lactic acid, which makes this ingredient a great addition. Overall, if you have a classic case of seborrheic dermatitis, Sachajuan Scalp Shampoo offers an effective and unique combination of actives, scalp and hair conditioners. It’s simple, it’s effective and the formulation shows great imagination and knowledge. If you aren’t sensitive to SLS/Betaines then I can’t recommend this excellent shampoo highly enough. Plus, it looks absolutely beautiful in the bathroom. Node P Bioderma Soothing ( Appaisant) Shampoo contains Piroctone Olamine, Climbazole, .Salicylic Acid, and it is sulfate free. It also contains xylitol which is known to prevent the formation of biofilms..